Is it cos I is Aussie…? George Patterson Y&R have a rather lovely office in Melbourne, a city I love (and was fortunate enough to spend a little time in whilst seconded to our Asian hub late last year). They have a strong creative reputation in the region (and do far more than just hold the Y&R name above their door), the ad below being a shining example of that. Australia as a nation still bears some heavy scaring with its treatment and historic policies relating to the indigenous population. The ad is simple and its deployment of split screen clips (of indigenous and non-indigenous people), to display related statistics. This shines a light on the very real and current discrepancy between goals / quality of life for these different groups. In my humble, no trip to Amsterdam is complete without a visit to the Heineken Museum. Interesting times ahead for the Spotify brand. Iain G. Morrison is a senior marketer in the British Tourism Industry. And an avid lover of Spotify. Even more today than yesterday, but likely not as much as tomorrow (etc). Let me just start with a plain, simple point. I am not a Lady Gaga fan. (Quick note, some viewers may find some of the content in the video mildly lesbionic and arguably unsuitable for <18’s). That said, she is beginning to show all the hallmarks of a recording artiste who appreciates that she isn’t the best looking, nor is she the best dancer, with nothing more than a slightly above average voice. So what’s going in her favour? A masterful grasp of the modern media landscape and how to manipulate it deftly. Remind you of anyone? So, what does this 9 1/2 minute video really tell us about Lady Gaga? I was foolhardy in my attempts to write her off as a one hit wonder (as I also did with Steps and I was way off the mark there despite serious offences to decency and taste that should have been tried in a court of law). If this lavish video tells us anything, it’s that Lady Gaga (somewhat like her mentor of years gone by), will be around for some time yet. 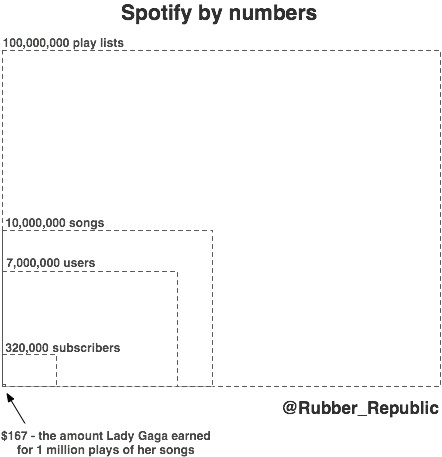 If the big brands are moving in just off the back of album one, the Gaga juggernaut is becoming a serious cash cow. Ripe for milking the world over. Whilst wearing high heels and ‘outrageous’ outfits. Why, oh why, oh why do people always start letters to points of view with why, oh why, oh why??? Anyhoo, as people who write to points of view often do upfront, I digress. Let me start by saying that I am deeply fond of all things Auntie. The BBC is rarely off in my house, office, commute etc. As with most people the right side of 40, I don’t tend to bother with the radio or TV schedule anymore what with your wonderous i-player. And lets face it, that’s what’s kept the Asian network and BBC 6 going this long! Fear not, I’m not going to get all ‘Save BBC Radio 6’ on you (despite owning a few compact discs from Cornershop). No, I need to discuss something far more disturbing. Have you been watching BBC2 of late? I think someone is purposefully trying to run it into the ground. I know one of the many ‘cost saving measures’ being bandied around is cutting BBC2’s afternoon schedule, but given the drivel blocking the airwaves this week, I’d go a step further and shut if off at night-time too. I mean I ask you. Outside of the farming community, who really wants to watch a sheep give birth. Lambing Live? Seriously? Are you trying to make the Daily Mail brigade queasy whilst they sup their pre-bed cup of cocoa? (Actually, I don’t mind that so much, perhaps you should aim to do that a little more). I know the licence payer is obliged to find Kate Humble some nature nonsense to ramble on about live on TV for a week, but have you nothing better to fill the schedule with than some jumper / chop in the waiting go through childbirth? Why, even re-runs of the Tellytubbies would be preferable to being exposed to drivel such as: “I put my hand in and could feel two front feet at the entrance to the cervix,” she said. ENTRANCE TO THE CERVIX? What would Mary Whitehouse have made of this animal related filth, I ask you? “Following up the legs, I could feel the muzzle. You don’t have to pull; you gently help the ewe who is pushing anyway. It’s a cliché but it was a miracle – a living thing. There was a rush and this great big slippery black lamb was lying there.”. If you wouldn’t mind having a word with the controller of BBC2 and getting him to pass on his heartfelt apology (and no doubt detailed explanation of the teeny tiny demographic of three people living in rural somewhere being represented by this drivel), it would be greatly appreciated. And if that fails, just tell him he’s the weakest link (goodbye), and that he should ruddy well give Mad Men a decent scheduling slot. Say in place of lambs popping out live? I’m sure deep down everyone know it makes sense, and watching Don Draper make babies is far more preferable than watching sheep pop them out. Iain G. Morrison (the sheep hating Mad Men and beeb loving ad man).